Add some subtle style to any of your looks with these Hoop Earrings from A New Day. Simple and elegant, these round hoop earrings will effortlessly complement casual or formal outfits. 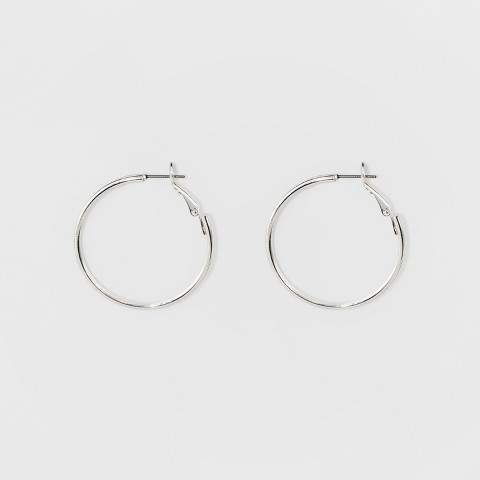 This pair of shiny metal hoop earrings have a snap post closure that makes them secure and easy to wear. Give your look that extra-special touch with these pretty and versatile round hoop earrings.